Broadcaster Press 13 August 7, 2012 www.broadcasteronline.com Schedule continued from page 12 11am-4pm 11am-5pm 11am-5pm 11am-5pm Noon 1:00pm Noon-2pm Noon-4pm Noon-4pm Noon-5pm Noon-5:30pm Noon-6pm 1:00pm 1:00pm 1:30pm 1pm-4:00pm 1pm-4:00pm 1pm-5:00pm 2:00pm 2:00pm 3:00pm 3:00pm 3:30pm 4:00pm 4:00pm 4:00pm 6:00pm Tri-State Old Iron Antique Tractor & Small Engine Display, Softball Field, Riverside Park Slide-Obstacle Course, Riverside Park Ferris Wheel and Whirly Bird Hours, Riverside Park Brule, South of the Territorial Capital D.C. Lynch Carnival, Yankton Mall Silver Creek Mavericks (Old West Reenactors), Northeast of the Softball Field ANKTON NURSERIES Jami Lynn (Music), Amphitheater & Garden Center Classic Cruiser Car Show, Baseball Diamond, Riverside Park • Evergreens • Perennials & Annuals • Shade & Fruit Trees • Gift Shop Yankton Homeless Shelter Dunk Tank, Riverside Park • Shrubs • Gardening Supplies Arts/Crafts Show, Yankton Mall Moose Bingo Tent, South of Baseball Field 2000 Ferdig, Yankton, SD • 665-6560 Beverage Shelter Opens, Riverside Park Kid's Pedal Pull Registration, South of Ball Diamond on Bike Path Mini Rod Tractor Pulls, East of Baseball Field Tri-State Old Iron Tractor Games, Parking Lot North of Softball Diamond Blossom & Friends – Balloon Sculpture & Face Painting, Riverside Park Mike & Jay (Live Entertainment), Beverage Shelter Moose Bingo Tent, South of Ball Diamond Gary R. Johnson • Rick Merkel • Ben Merkel Kid's Pedal Pull Begins, South of Ball Diamond on Bike Path • Rural • Residential • Commercial SweetWater, Amphitheater • Electrical • Telephone • We Set Poles • We Trench H20 Lines, Footing & Electric Lines Vanguard Squadron Airshow • Our Bucket Truck Reaches 50’ PLUS Darin Wadley (Music), Amphitheater FAST COURTEOUS SERVICE Tri-State Old Iron Tractor Games, Parking Lot North of Softball Diamond 214 CAPITAL ST., YANKTON Dakota Dance Association, Amphitheatre 605-665-5686 RBD RAFFLE DRAWING! INFORMATION BOOTH, RIVERSIDE PARK Car Show Trophy Presentation, Baseball Diamond, Riverside Park Let us do all the work! 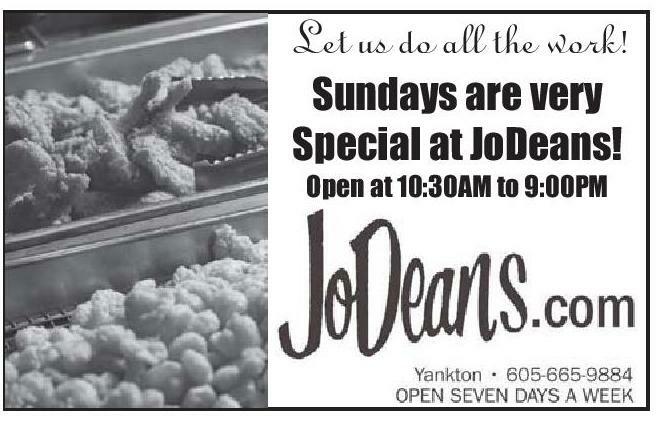 Riverboat Day Closes Y Johnson Electric, LLP Sundays are very Special at JoDeans! Amphitheatre Schedule Friday 6:00pm 6:30pm Saturday 1:00pm 2:00pm 3:00pm 5:00pm 6:30pm Sunday Noon 2:00pm 3:00pm 4:00pm Open at 10:30AM to 9:00PM OPENING CEREMONIES Judi's Dance Sheltered Reality Jason Huneke Comedy Juggling Show Hunter and Company Yankton Children's Theatre Academy of Dance Jami Lynn SweetWater Darin Wadley Dakota Dance Association “Don’t Gamble” Insure with M.T. & R.C. SMITH INSURANCE, INC. FREE Performances! Friday 8:00pm Wakefield Saturday 8:00pm The Dweebs! Sunday Noon Vanguard Squadron t Days iverboa kton R Yan rizes ffle P Ra 204 W. 4th St., PO Box 1077 Yankton, SD • 605-665-3611 Toll Free: 1-888-665-3611 Fax: 605-665-2560 SEE US FOR ALL YOUR TRUCKING NEEDS! 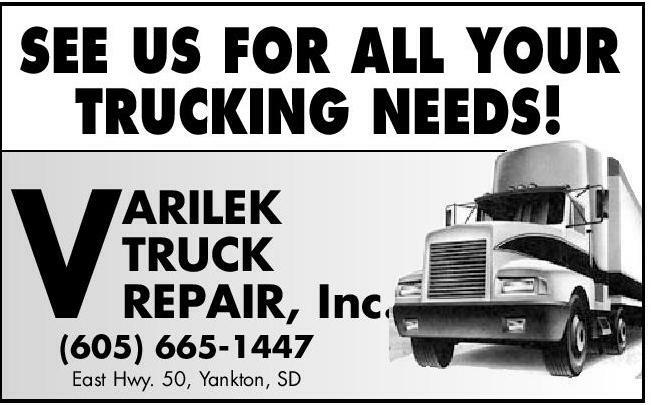 V ARILEK TRUCK REPAIR, Inc. (605) 665-1447 East Hwy. 50, Yankton, SD 6 for $500 30 for $2000 $3,000 Cash 5 – $100 Hy-Vee Gift Cards $2,000 Cash 5 – $100 Walmart Gift Cards $1,000 Cash 4 – Fryn’ Pan Meal Cards Jolene Steffen Print Larry’s/Slumberland $250 Gift Certificate Mark Anderson Capitol Print $250 Yankton Bucks 2 – Murdo’s Aten Resort $200 Gift Certificates Purchase tickets from: RBD Board of Directors, Services Center Federal Credit Union and the Pink Ladies Dart Team. Tickets will also be sold during the parade, and during the festival at Riverside Park. 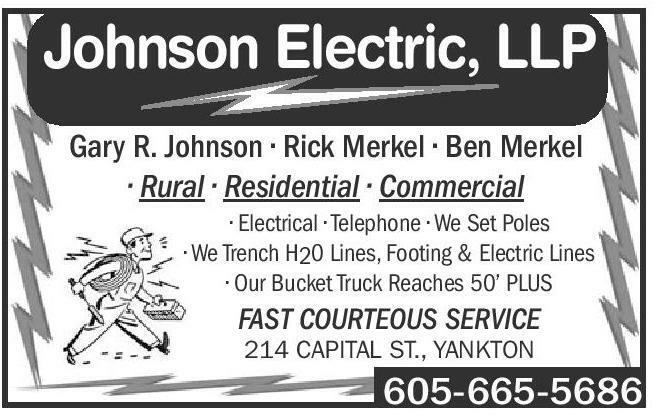 2012 SPONSORS: RBD Board of Directors, Services Center Federal Credit Union, Murdo’s Aten Resort, Yankton Daily Press & Dakotan, Fryn’ Pan, Jolene Steffen, Walmart, Hy-Vee, Slumberland, Yankton Chamber, KK93, KDAM, KYNT On Call or ConvenientCare... We’re There. 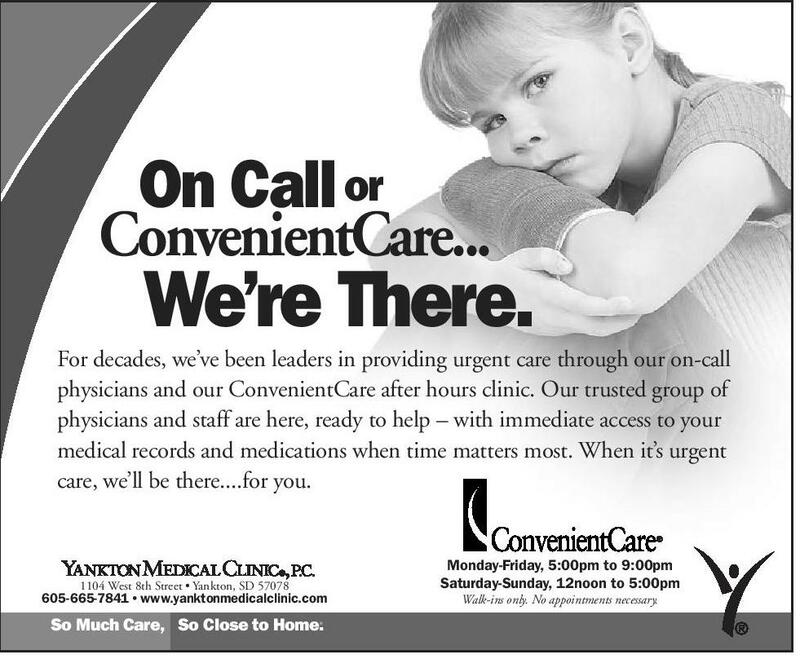 For decades, we’ve been leaders in providing urgent care through our on-call physicians and our ConvenientCare after hours clinic. Our trusted group of physicians and staff are here, ready to help – with immediate access to your medical records and medications when time matters most. When it’s urgent care, we’ll be there....for you. 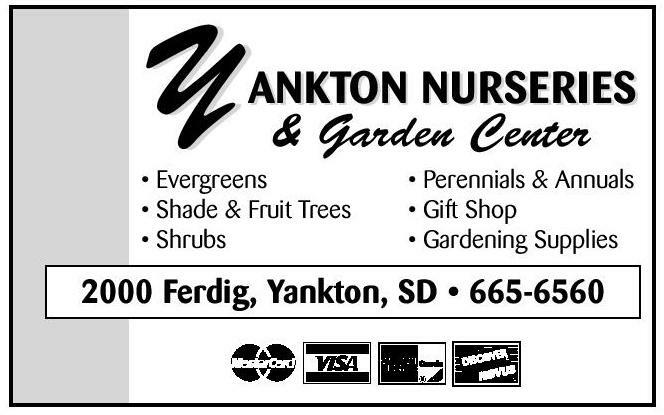 Monday-Friday, 5:00pm to 9:00pm Saturday-Sunday, 12noon to 5:00pm 1104 West 8th Street • Yankton, SD 57078 605-665-7841 • www.yanktonmedicalclinic.com So Much Care, So Close to Home. ® Walk-ins only. No appointments necessary.